Trimming is an important part of the care and maintenance of your landscape and is done for many reasons. Trimming will provide an aesthetic appeal to your property while removing dead, dangerous or even potentially dangerous limbs that could fail or grow into utility lines. When proper maintenance is maintained, health and vigor are promoted. This includes all landscape plants especially your trees. Healthy trees benefit your landscape, your curb appeal, your house value, your heating and cooling bill as well as habitats for wildlife, and air quality. 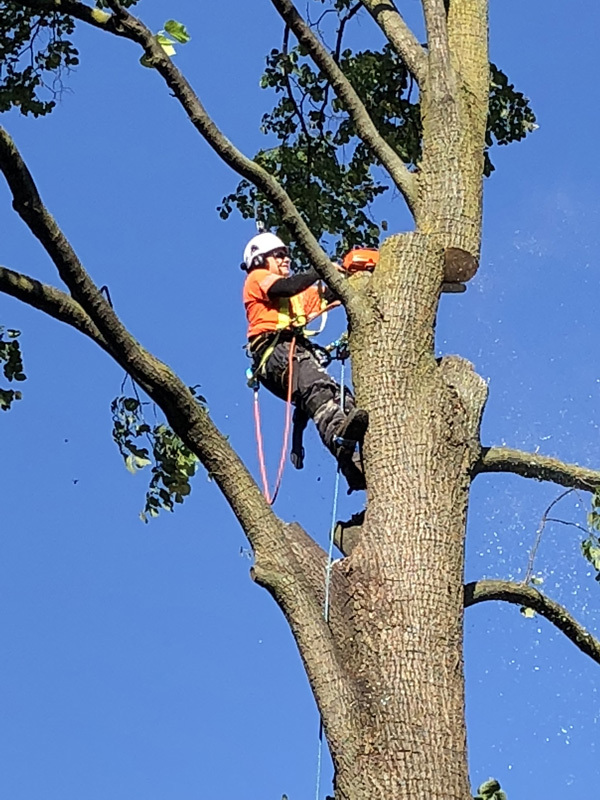 We provide you with the knowledge and experience of our trained personnel to help your trees reach their full potential! 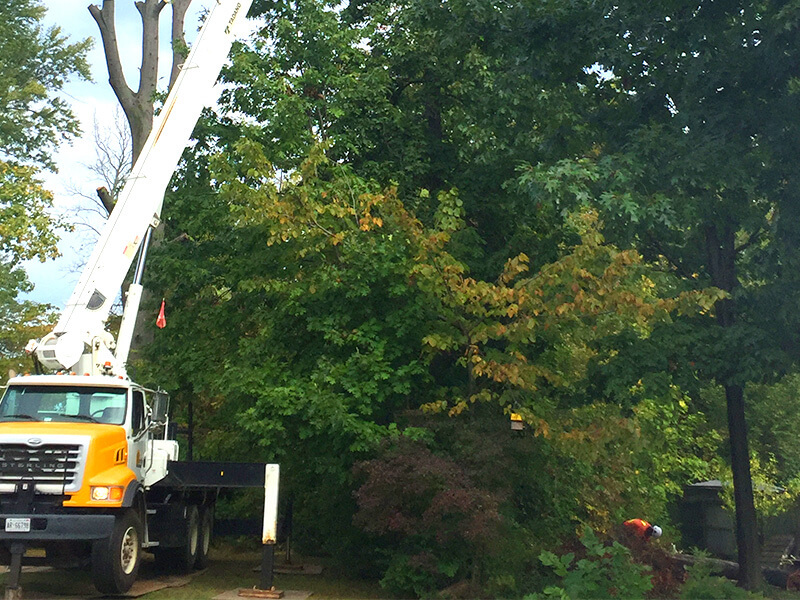 We specialize in large and dangerous tree removals. Our climbers and bucket operators are trained to take on even the toughest jobs. 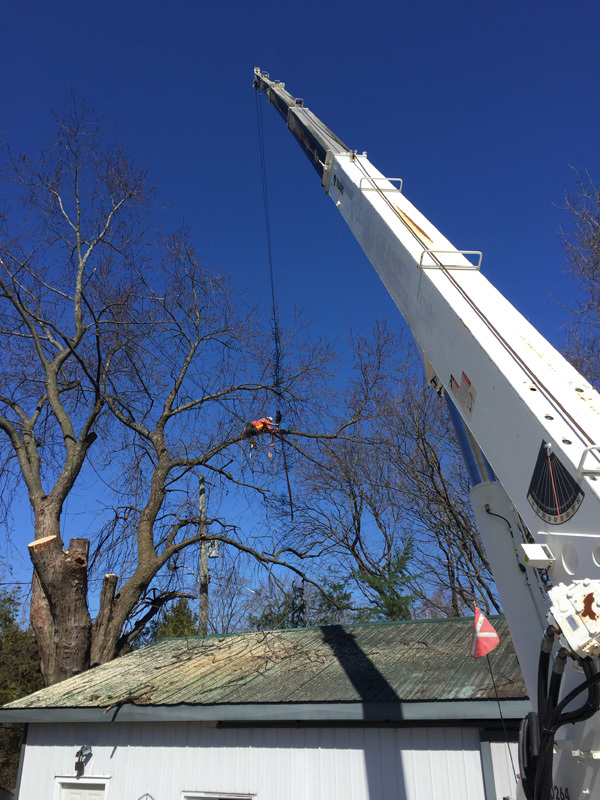 Through our training, we can remove trees via a bucket truck, crane, or by climbing. 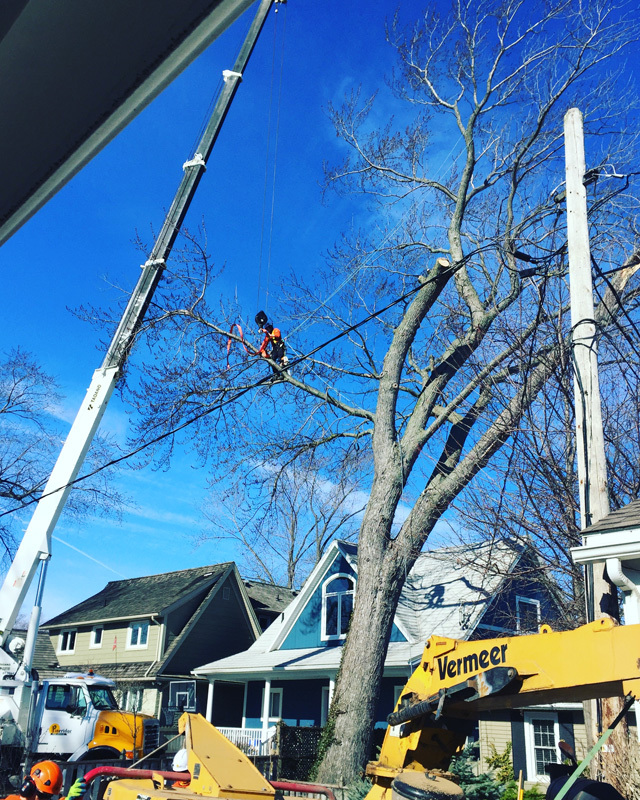 Our ISA and Ontario certified Arborists are ready to take on any challenge. 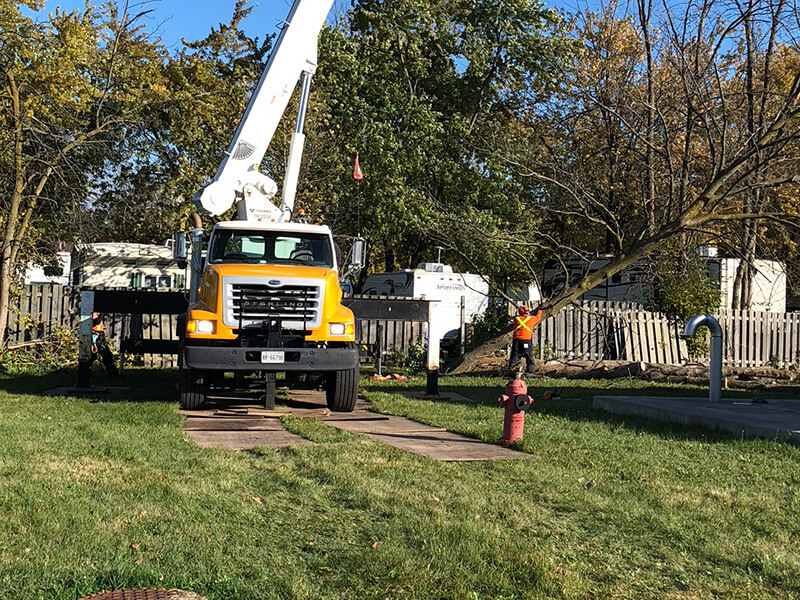 Our live line clearing operation has extensive practice in maintaining tree clearance for the following municipalities: Niagara Falls, St Catharines, Fort Erie, Port Colborne, Niagara On The Lake and Welland. Our staff is all certified members of the Electrical Utility Safety Association/Infrastructure Health & Safety Association and hold current First Aid and CPR certificates. 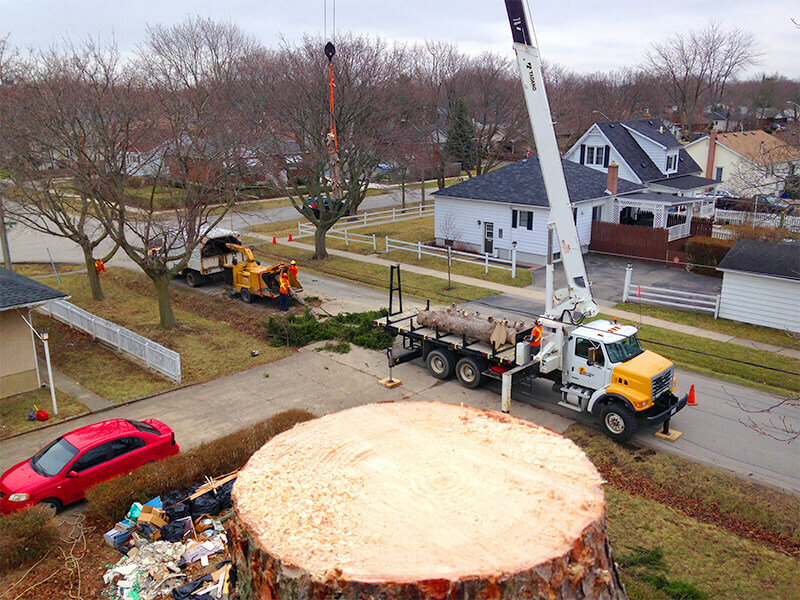 We provide a complete tree removal service, which includes removing the stump. We can also take away the stump chips and reinstate the hole with sod or seed. Our portable self-propelled machine can pass through gate openings as small as 36”! With our trailer stumper no stump is too big to cut! Through a pressurized soil injection system, essential nutrients are added to the soil around the trees. This restores micronutrients that have washed away or are void in the landscape environment. It promotes root growth and healthy looking trees and plants. Just ask our ISA (International Society of Arboriculture) certified arborists, they can help diagnose tree/ shrub problems. They can also recommend appropriate and affordable treatment plans to help aid in the recovery of your trees and shrubs. 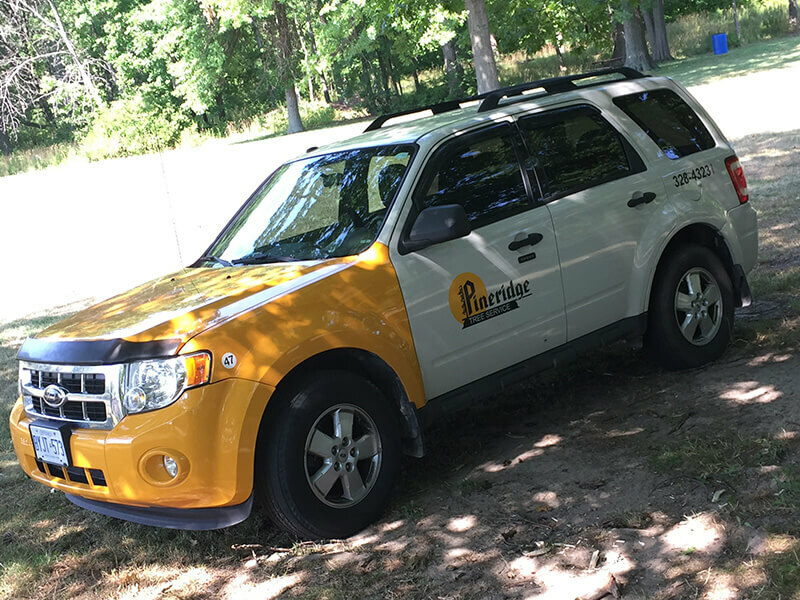 Our team of Certified Arborists is able to provide you with expert knowledge and the documentation that you may need when it comes to your trees. 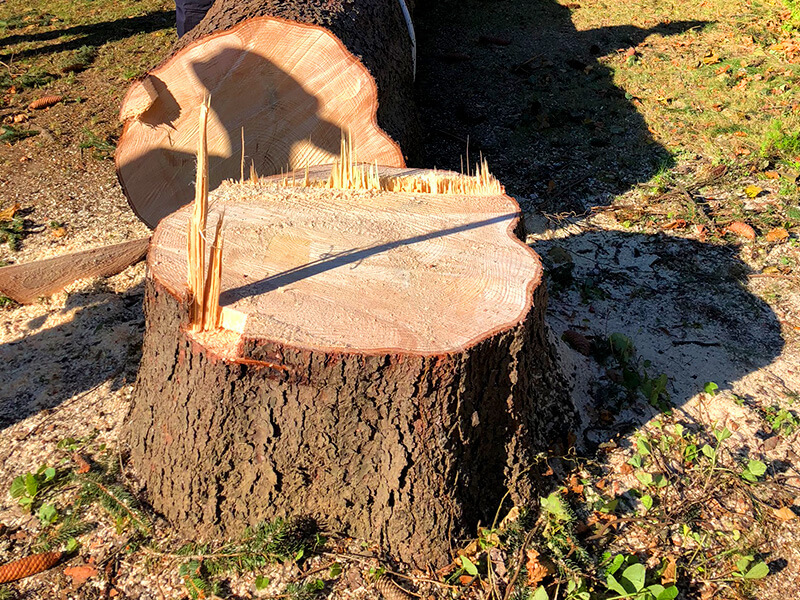 Documents include tree inventories, integrated pest management systems (IPM Systems), tree valuations, dangerous tree risk assessments and other arborist reports.